Hi there, my darlings! This afternoon, I'd like to introduce you to a new beauty e-tailer that I've been having a great experience with--Beautyspin.com has thousands of name brand fragrance and beauty products at hugely discounted prices! To be honest, I had a hard time narrowing down what I wanted to review when I was perusing the site. 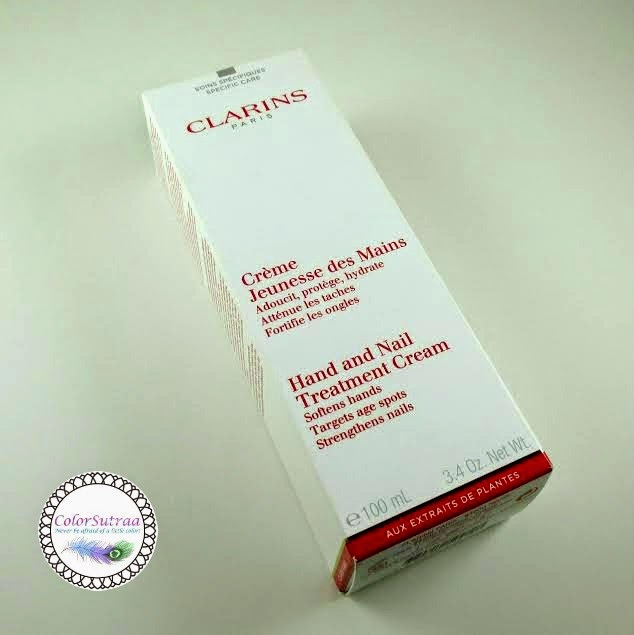 After much deliberation, I chose Clarins Hand and Nail Treatment Cream, because the brutal NYC weather has left my hands feeling parched and I was just about out of the hand cream I've been using! How fortuitous, right?! USE AND IMPRESSIONS : I have been using this product every single night for the past two weeks--bedtime is when I want to pamper and hydrate my hands. Every night, I just massaged in a little dollop of this cream into my hands, focusing on my cuticles and nail beds, until fully absorbed. I absolutely love this product--I mean, I'd have to to use it religiously for over 2 weeks! 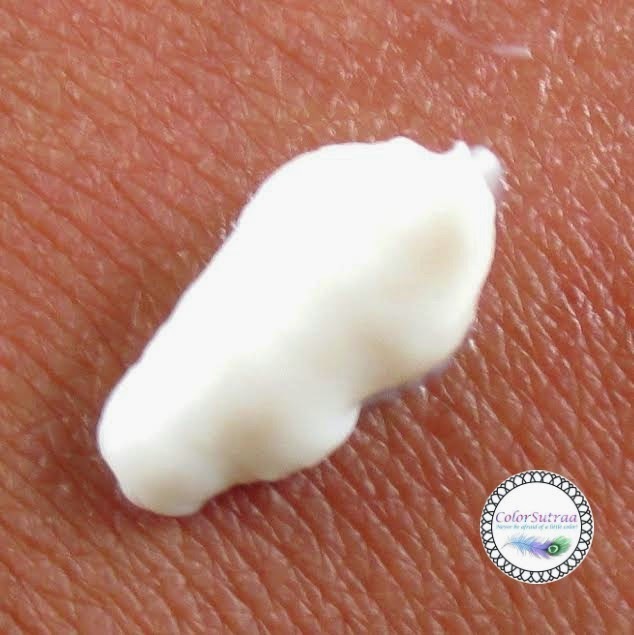 This cream is just the right consistency--not too thick, nor too runny so that it absorbs fairly quickly, leaving my hands feelings moisturized and hydrated without feeling sticky or uncomfortable. The best part, at least for me? I totally expected this product to be fragrance-free but to my utter delight, it's actually scented with a mild, floral fragrance that I absolutely adore! And the price at Beautyspin.com makes it completely attainable! So there you have it, my darlings! 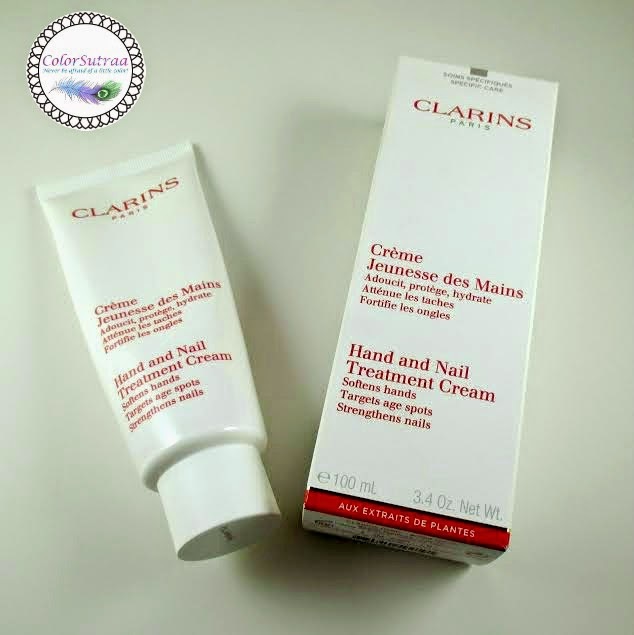 If you would like to pick up your very own tube of Clarins Hand and Nail Treatment, you can find it at a great price on Beautyspin.com HERE. Will you be adding this product to your stash? I'd love to hear your opinions in the comments section below!